It seems as though when it comes to President Trump and his administration, congressional democrats want an investigation into virtually everything. Over the past few months, they have demanded investigations into several people on Trump’s team, including former National Security Adviser Michael Flynn, Attorney General Jeff Sessions and even the president himself, all over the notion that there was some level of collusion between Trump and the Russians that lead to the defeat of Hillary Clinton last November. But as the democrats continue to push for unnecessary investigations, there is one person who really should be investigated — and she happens to be the former Attorney General of the United States. 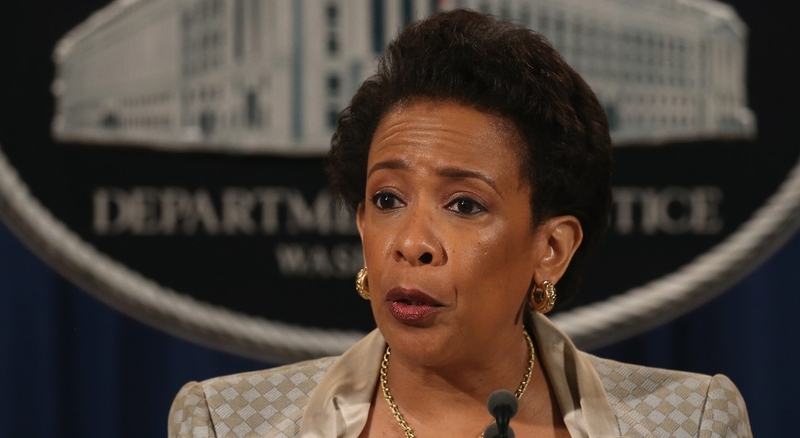 Loretta Lynch is an example of a liberal democrat who hides her true agenda behind words like “compassion” and “fairness.” In reality, and with all due respect to the former Attorney General, Loretta Lynch was neither of those things. On multiple occasions, Lynch demonstrated that she was, in fact, one of the most corrupt individuals to ever serve as Attorney General, and definitely one of the most deserving of a full-scale investigation. It should go without saying that if any member of President Trump’s administration ever made a comment like this, congressional democrats and the liberal media would be going nuts. It would be written about in every liberal newspaper, talked about on every left wing cable news outlet, and joked about on every late night television show. But of course, since the comment came from a democrat, the liberals remained silent. Furthermore, why hasn’t a single democrat, whether they’re from Washington DC or cable news, called for an investigation into Loretta Lynch? Our country literally witnessed the Attorney General of the United States implying that the progressive agenda required blood to be shed, and yet not a single liberal batted an eye. No calls for legal action, no calls for some kind of an investigation — nothing. Yet a scandal that was entirely manufactured by the left wing media — that is, the so-called “collusion” between Trump and the Russians — warrants a massive, full-scale probe into the president and his administration. If this doesn’t seem like it makes much sense, it’s because it doesn’t. There’s more. As everyone remembers, last June, Loretta Lynch had a mysterious meeting with Bill Clinton aboard her private jet, just days before former FBI Director James Comey announced that Hillary would not be charged for storing highly classified emails on her private server. The meeting may very well have been an obstruction of justice, and yet the only time democrats talk about obstruction of justice today is when they are talking about current President of the United States. To put it bluntly, most modern day leftists are nothing but political hacks. They claim that they care about maintaining integrity within our governmental institution, yet all they really care about is taking down those who oppose their radical agenda. Things like integrity, honesty and doing what’s best for the country are virtually meaningless to the vast majority of those on the left side of the political spectrum. Without question, congressional republicans should be demanding an investigation into Loretta Lynch, because if there’s anyone that truly deserves it, it’s her.